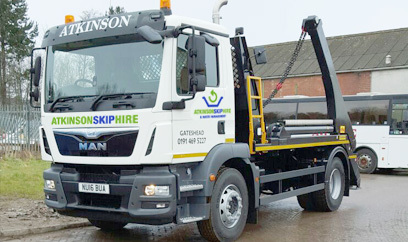 Atkinsons Skip Hire Newcastle upon Tyne. Low prices to Public & Trade. Atkinson’s Skip Hire and Waste Management is based in Gateshead, serving Newcastle upon Tyne, Sunderland, Durham and surrounding areas. We are a family run business, providing a great service and the best possible prices. We are ethical and understand the importance of our role in recycling materials to save our planet. This is deep routed in the values of our team. We work closely with the Environment Agency to meet all legislation and regulations. We provide skips to the trade including builders, kitchen fitters, bathroom intallers and landscape gardeners. Our public customers use us for all types of projects from house clearances to garden projects and moving home. For Cheap Skip Hire and great service you can rely on us! CALL 0191 469 5227 NOW for the BEST PRICES & FREE ADVICE. We now take card payments over the phone. We take our environmental responsibility seriously and value our customers. We've grown through working hard and putting our customers first. Our main site is located on the Pelaw Industrial Estate, Gateshead, Newcastle and is a licensed waste transfer facility which is operated by a range of fully trained, experienced personnel. Yes, we offer everything you'd expect from a waste management company BUT we will always go that extra mile, and do what we can to make our customers happy. We provide skip hire for trades including Builders, Landscape Gardeners, Plumbers, Bathroom Fitters, Joiners and Kitchen installers. 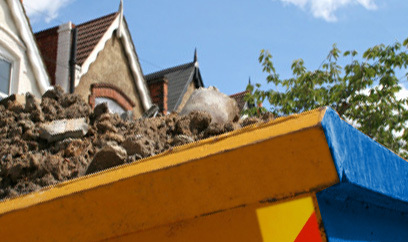 We also deliver skips to the public for all types of projects that create waste such as house renovations, gardening, garage clearouts, spring cleaning and moving. Welcome to our family business - you can rely on us!